Every year my husband and I look forward to doing our taxes. I know that sounds a little strange but with five kids we usually get a decent refund. So once we have paid any bills that have been neglected, we do a little spoiling for ourselves and our kids. Okay so we mostly spoil our kids but that's because they are awesome. I knew our son, Angel, really wanted a new cell phone. 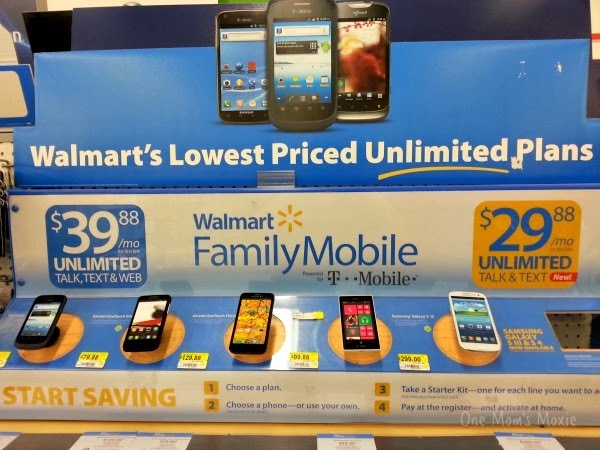 So I did some research and found out that the Walmart Family Mobile Plans are the lowest priced unlimited plans available! Even though Angel already had a phone, he wasn't on a unlimited plan. He is constantly running out of minutes, which made his old phone plan costly. If he was out of minutes that also meant he couldn't talk with any family or friends. 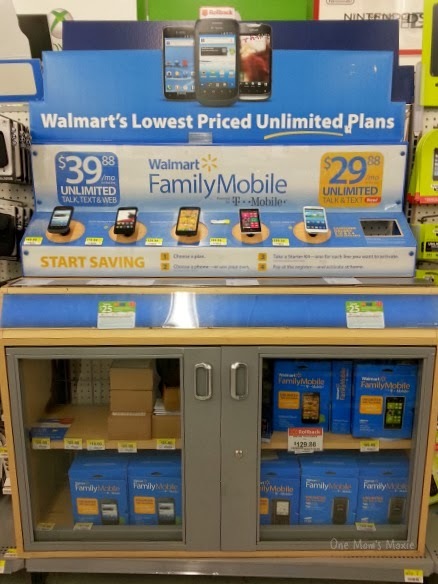 Walmart Family Mobile has a Unlimited Talk Text and Data/Web for $39.88 a month. This is such a great deal and seeing that we had our tax refund we couldn't pass up this opportunity to get him a new phone and plan. Now he has no reason not to call his Granny! Since this was a surprise for him I went to Walmart and went looking for their phones. They were located in the electronics right next to "other" cell phones. 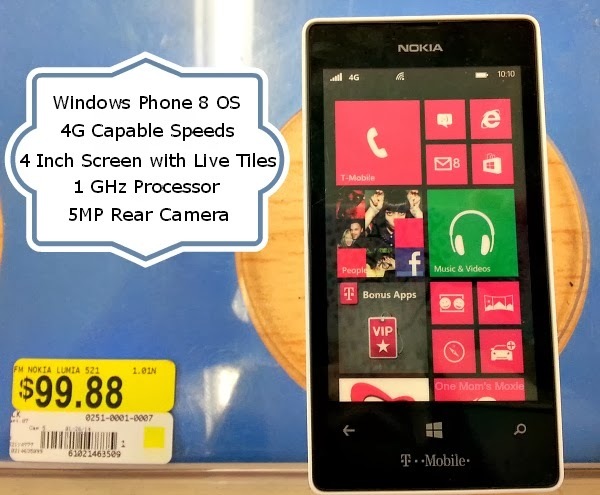 I liked that the Walmart Family Mobile had a variety of smartphones that were under $100 to choose from. Being the cool mom that I am (Ha, I know I'm not really!) 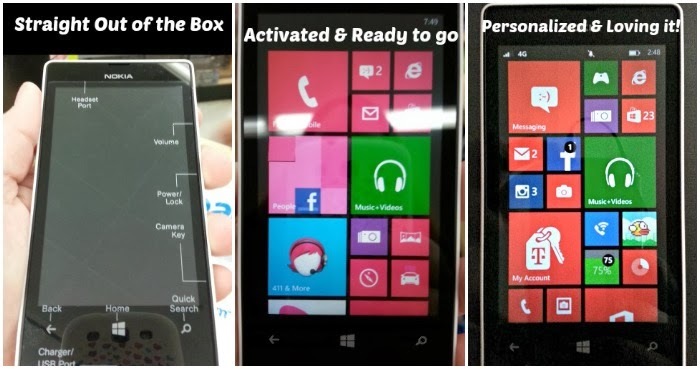 I thought he would like the Nokia Lumia 521, the phone with Windows 8 operating system. This phone has some cool features, I like the live tiles. Being that this was a new phone and we had never used the Walmart Family Mobile Plans I had to purchase a starter kit along with the phone, which was only $25. 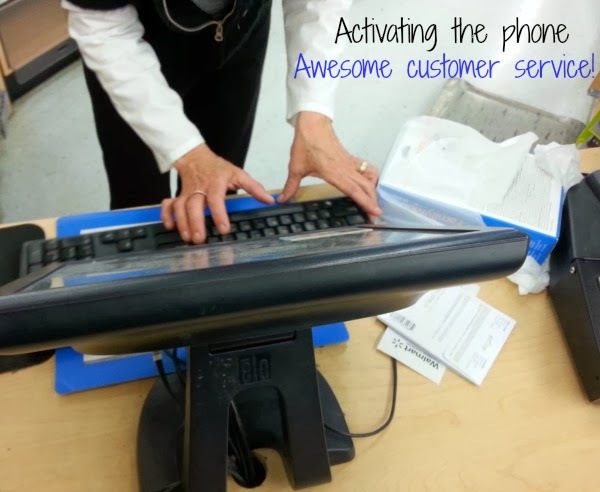 Now when I purchased the phone I didn't expect the cashier to go above and beyond to help me. I figured I would go home and try to figure out how to activate it, but the Walmart cashier, Darlene, took the phone out and activated it for me. I didn't even ask her to! She even checked the number to make sure the phone was working before I left the store. I just had to share with you all her great customer service skills! Now that the phone has been activated I have to admit I am a little jealous. Angel's Nokia is 4G and has been working perfectly. I have lost service with my provider but so far Angel has had service every where. We even went out into the country with little reception and his phone still had great service! Using the Windows 8 OS has been different but so far Angel is loving his new phone. He's already made some personal touches to it. I am so glad I was able to not only get Angel a new phone, but to put him on a unlimited plan that's completely affordable. 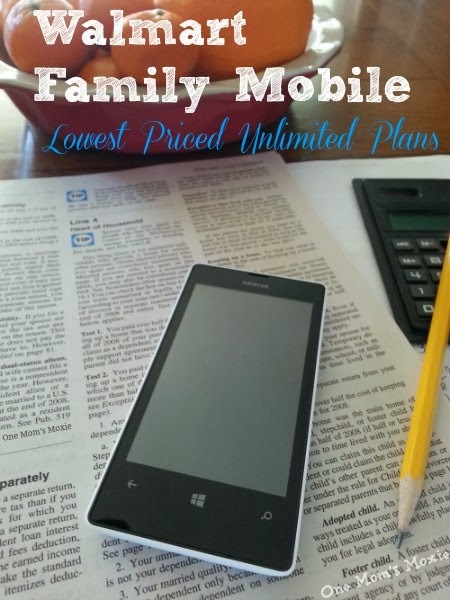 Using the Walmart Family Mobile Plan will help us save a LOT of money! We feel good knowing we used some of our tax refund on something that is necessary but also makes him feel a little spoiled. Now we just have to decide if we want to get the other kids phones too! Thirty-One 3-pc. Organic Poppy Totes Giveaway!